Kris Letang and Evgeni Malkin each scored twice Sunday as the Pittsburgh Penguins held on to beat the visiting New York Rangers 6-5. Marcus Pettersson had a goal and an assist, Brian Dumoulin scored, Sidney Crosby had three assists, and Phil Kessel and Zach Aston-Reese each had two assists for Pittsburgh. 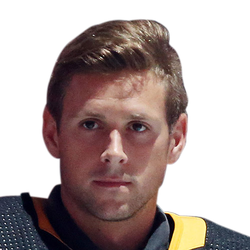 Goaltender Casey DeSmith made 39 saves for the Penguins, who have won three of their last four games. Mats Zuccarello scored two goals, and Ryan Strome, Kevin Hayes and Mika Zibanejad also scored for New York, which has won just two of its last five. 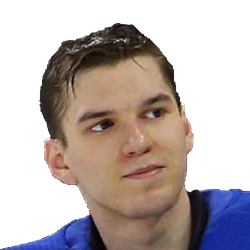 Alexandar Georgiev stopped 35 of 41 Pittsburgh shots. Letang opened the scoring at 16:11 of the first. After Crosby won a faceoff, Letang carried the puck down the left-wing wall and, from deep, threw the puck out front, where it went in off New York's Kevin Shattenkirk and in. Zuccarello tied it 1-1 with 39.2 seconds left in the first. His pass through the slot deflected in off the stick of Pittsburgh's Teddy Blueger. At 11:41 of the second, Pettersson notched a power-play goal for a 2-1 Penguins lead. He one-timed a cross-zone pass from Nick Bjugstad inside the near post. Crosby's centering pass set up Dumoulin in the high slot for a 3-1 Pittsburgh lead at 14:09 of the second. Zuccarello struck 26 seconds later to close it to 3-2. He poked in a loose puck behind DeSmith. Strome tied it for New York at 17:45 of the second on a shot from the slot. Pittsburgh withstood a four-minute Rangers power play that began with 12.3 seconds left in the second when Crosby high-sticked Neal Pionk, who left the game. Less than a minute after the power play, Letang came off the bench, took a pass from Crosby and scored on a heavily screened shot for a 4-3 lead. Malkin struck at 7:24 from close range and at 9:55 on a sharp, spinning backhander from the lower part of the left circle for a 6-3 Pittsburgh edge. Hayes made it 6-4 at 14:14, and Zibanejad made it 6-5 with 18 seconds left.